Troyce began her exploration of the mind/body arts with the study of yoga and meditation when she was 17 on the beautiful garden island of Kauai. 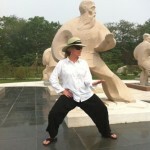 Her continued journey of the mind/body arts led her to explore the ancient Chinese art of Taijiquan. 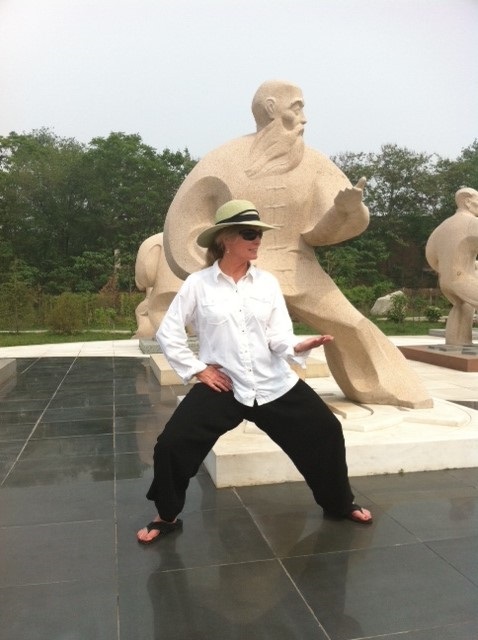 For the past 22 years she has been fortunate to have studied with some of the most talented and influential Tai Chi teachers in the USA and China. She has lead several Tai Chi study groups to China to study in Beijing, Chen Village, Deng Feng City (Shaolin Temple) and Wudang Mountains. Troyce has taken what she has learned and applied the principles found in these teachings to help her students improve their posture, balance and overall body awareness. Troyce has taught Yoga, Pilates and Tai Chi at Saddleback Community College in Mission Viejo for 20 years working with students of all ages, backgrounds and in various states of health. However, it was through the Emeritus program at Saddleback that she had the opportunity to teach Tai Chi to students ranging in age from 50 to 95. She soon recognized that the older students were quick to realize the health benefits of Tai Chi. It is precisely because these students discovered such profound health benefits and found they really enjoyed practicing tai chi, that they have become loyal students, coming to class week after week, month after month, year after year. Sun Style Class in San Juan Capistrano, California. Seeing the visible success her students have made in terms of health and improved lifestyle, Troyce has developed a series of educational programs that will help people beyond her community learn of the many health benefits Tai Chi has to offer. Troyce designed Tai Chi for Health to share the amazing health benefits of Tai Chi through educational lectures, A Cup of Chi (our blog) , and simple to learn but highly effective exercise programs.